Cut in federal mortgage securities has opposite effect of predicted rising rates. November 2008: The stock market was dropping like a stone. Mortgage defaults began to skyrocket. Some major financial corporations either toppled, or were at least teetering. Things weren’t looking good. As part of the federal stimulus package known as TARP (Troubled Asset Relief Program), the Federal Reserve authorized an $85 billion monthly stimulus that would back Mortgage-Backed Securities (MBS). This monthly expense was put in place to ease troubled financiers and investors that they could still count on the mortgage market for a guaranteed return. While this stimulus, known as Quantitative Easing (QE), did not instantly solve the real estate crisis that ensued as part of what’s now known as the Great Recession, mortgage interest rates did in fact remain low, and actually dropped to historically low levels in early 2013 (Down to the mid 3 percent range). In the spring of last year, Federal Reserve Chairman Ben Bernanke gave word that, based on economic improvements, the QE stimulus would begin to taper back. This caused a stir in the mortgage market industry, and selloffs of Mortgage-Backed Securities began in earnest, driving up interest rates over 1% (Which were still incredibly low). Now, rates rose on the news that the reduction in QE MIGHT happen. By Autumn, the Fed backed off on their statement, saying that there were no solid plans to reduce the monthly MBS stimulus. 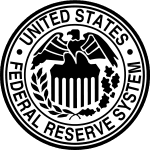 However, at the beginning of 2014, a reduction of $10 billion per month did take place, and interest rates held, despite words of caution that rates would rise over 5%. A few months later, the Fed reduced monthly stimulus spending by another $10, and still no spike in rates. Once again, the Federal Reserve announced another cut in QE spending by another $10 monthly. This is a total of $30 billion per month in reductions, or $360 billion in Federal dollars not heading toward the mortgage market. Once again, many industry forecasters predicted that rates would bump upward, but in fact, they have dropped to a near 52 week low, holding at 4.10% for a fixed-rate conventional mortgage as of close of business, June 27th. While we can never predict the future, we know that rates may rise and fall based on not only the real estate market, but economic conditions overall. If you’re on the fence about buying, consider locking in your loan rate now and take your steps toward home ownership. We are your home buying specialists!